This post was updated in April 2019 to reflect the most recent data available. Have you just taken the GRE and do you wonder what you would get on the GMAT? Did you apply to a b-school with a GRE score and do you want to see how you stack up against the GMAT competition? In both cases, you will definitely want to know the GRE to GMAT score conversion. Check the chart below when weighing GRE scores vs. GMAT scores. This information is drawn from here. Your GRE verbal scores run across the top, and the GRE quantitative scores are down the left-hand side. Some might quip that comparing GRE and GMAT scores is like comparing apples and oranges. 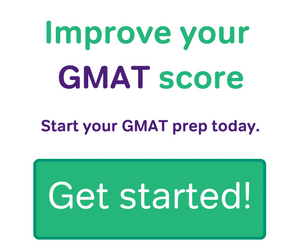 Is a perfect GMAT score equivalent to a perfect GRE score? Isn’t the math section on the GMAT more difficult than the one on the GRE? Though such questions do show that the comparison is not perfect—perhaps an oranges to tangerines one—this is still a “close-enough” approximation. Another way to compare is to check your GRE score percentiles against GMAT score percentiles. 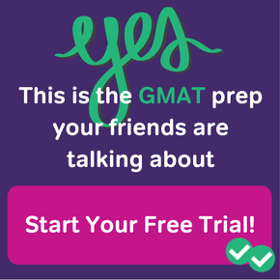 For those who just took the GRE and are considering taking the GMAT, or vice versa, figuring out exactly how you’ll do on one test can be very difficult. To confound our attempts at conversion even more is the fact that not all of us have the same skill set. For instance, you may be strong at vocabulary, but not so strong at grammar. This imbalance will work against you on the GMAT. 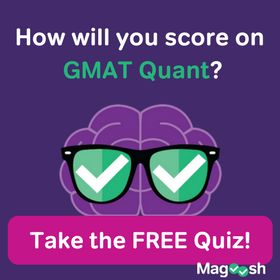 Likewise, you might have scored 90% on the GRE quant, but since the quant competition for the GMAT is much stiffer you will in likelihood not score 90% on the GMAT quant section. Business schools know very well about the asymmetries cited above. Perhaps, some schools even have a GRE quant to GMAT quant convertor—though I think only the quant heavy programs would really do such a thing. It could very well be that most b-schools don’t convert the scores between the two tests. In fact, I’m almost certain that neither verbal section is granted more weight. The difficulty between the GMAT and GRE verbal section is more of a subjective thing. With that in mind, you may want to take a look at your scores in each section separately. Admissions committees will look at scores heavily weighted towards either Verbal or Quant differently, so it can be important to compare your GRE scores to your projected GMAT scores individually. While there are many confounding factors when converting GMAT scores to GRE scores, or vice versa, using the percentile ranking will give you a rough idea of how you would do on both exams. Remember that these tests aren’t necessarily some kind of IQ correlation. There is no hard and fast conversion of your average GMAT score. 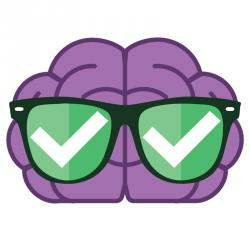 🙂 For more information on the GMAT vs. the GRE as well as a broader GMAT test overview, check out our Hassle-Free Guide! Could you please explain the 50th percentile score of GRE and same for GMAT? If I score (153+153) in GRE test, will it be the 50th percentile of GMAT? You ask a good but tricky question. Bear in mind that percentiles are based on the performance of an entire group of test takers. Since the GRE and GMAT have two different groups of test-takers, the percentiles and scores won’t all line up between the two tests. It’s especially important to remember that GRE test-takers and GMAT test-takers tend to have different academic backgrounds. Most notably, the B-school applicants who tend to take the GMAT usually have already completed their bachelors degrees and have been out of school for years. In contrast, GRE test-takers are often still in their undergrad classes when they take the exam. Another important difference here is that the GRE does not have a combined Verbal and Quant percentile, and instead has separate percentile measures for its Verbal and Quant scores. The GMAT on the other hand gives a “whole test” percentile (Verbal+Quant) and publishes separate section percentiles for Verbal and Quant. As you can see on the chart in this article, a 50th percentile in the GRE, which is a 151 in Verbal and 153 in GRE lines up with the 490-530 range for GMAT whole-score. But this makes the GRE 50th percentile equivalent to the 25th to 33rd percentiles on the GMAT. Like I said, you simply can’t make a direct lineup between GRE and GMAT percentiles, the way you can with GRE and GMAT scores. I scored 291 on the GRE and I need to score atleast 310 to get my score to 600 on the GMAT after Conversion. Please help me regarding the same.. My GRE is Scheduled for November 5th. Boosting your score b y 19 points in two months is an ambitious goal. But it’s also definitely possible. How to do it depends on your own strengths, weaknesses, and study schedule. My advice is to carefully assess where you are doing the best and worst on the GRE, in terms of sections, question types, type of academic content, skills, strategies, and so on. Then build on your strengths while working on your weaknesses. And make sure you have a specific study schedule, so you get a steady, ongoing amount of study time. I took a cold test for GMAT from the official website to analyse where I stand at the beginning of my preparation. I scored 570 in it, 44 in quants and 25 in verbal which is very disappointing. I am planning to take GMAT after 70 days. How much improvement in scores can be expected if I join Magoosh? Why is the writing portion of the GRE not accounted for in the GMAT conversion? I scored well in writing portion, good in the verbal, and I need to improve in the quantitative. Using the conversion chart I have a good enough score to make the program’s minimum required score, but that score doesn’t account for the writing, which was my highest percentile (85%). Hello..I scored 490 on the gmat for the second time. (Q39 and V 21). I am thinking to appear to appear for the GRE test now after preparing for the same.I am upset with the score because I used to score around 600’s in the mocks.What is your opinion? It’s difficult to say exactly what happened. However, the most important thing to do after taking a test and not getting the score you wanted is to take some time and reflect on your studies and performance. What practice tests gave you those 600 scores, and are they high quality? Did you feel very stressed during the test? Was there something uncomfortable or distracting in the test environment? Were you able to implement good pacing and other test-taking strategies? Were their questions that you hadn’t practice or weren’t familiar with? Thinking about your performance and why you may have gotten an unexpectedly low score can help you to move forward and avoid the same issues in the future! 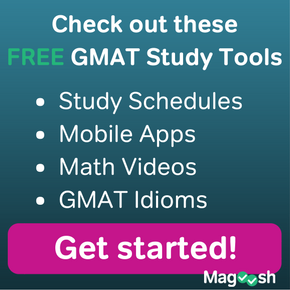 How to Study for a GMAT Retake. I scored 282 in total on GRE. 138 Verbal and 144 Quantitative. What will be my score and percentile on GMAT? Also what is my score on GRE old scoring system?